Today’s tech-savvy market has adopted new communication technologies that improve the efficiency and performance of the enterprise phone system and effectively integrate it with nearly every department in your business. Even if you’re looking for a small business phone system, you should consider the ability to include remote sites such as sales offices or distribution facilities on the same system. 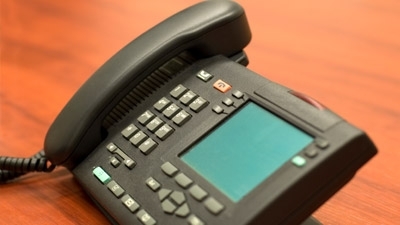 Many business phone systems link the company’s primary location with other locations. Linking multiple locations with the same enterprise phone system enables you to contact people at remote facilities without having to make outside phone calls, and you can transfer calls easily between facilities without requiring the caller to call back at a different number. A multi-site business phone system enables you to save money with a single phone and voice mail system. Even though you may be looking for a small business phone system now, you will want to protect your investment by making sure that it has the capacity to grow with you in the future. Most NEC VoIP phone systems can grow with your business, with the ability to support from a handful up to several thousand ports with high reliability. Nothing irritates customers more than waiting while your call center personnel look up their records, except having to repeat their information to subsequent people if the original CSR transfers the call. Solve both problems by integrating your CRM system with your enterprise phone system so that customer records are automatically delivered to the CSR as they answer the call, saving time, improving efficiency and increasing customer satisfaction. A company’s cabling system is its lifeblood, and all its voice and data flow through the cables and the data center. You can improve your data center efficiency by improving your cabling. You may want to upgrade or add additional copper cabling, or upgrade to category 5 or category 6 for more speed, less noise, easier upgrades and high reliability. If you have the budget, fiber optic is the top of the line in cabling and provides the ultimate in speed and reliability. In addition, fiber will prepare you for future growth and ensure that you don’t outgrow your cable system. You depend on your business systems to help run your business, and your business systems depend on your cabling system. It will pay off if you make certain that your data center is well-laid out, with each cable carefully labeled, and that you have the structured cabling you need in place to support your growth. In today’s fast paced business climate, people are on the go all the time. You can’t wait until you get back to the office to respond to messages or to make critical decisions. Even a small business phone system can send an email when you receive a voice message, and even allow you to play the message on your smartphone or other device so you can respond immediately. Business phone systems can rely on training and support from telecommunications support companies to ensure all employees understand the advanced features of NEC VoIP phone systems, and other digital phone system models of their choice. It is essential for your IT teams and data center staff to understand how to maintain and use all the advanced features of business phone systems to maximize the use of handy features and to simply use the system effectively and efficiently. Advanced digital telecommunication companies such as TTI not only give you an array of phone system upgrade options, but also offer training and support your staff needs. These upgrades are a few of the best investments you can make for your company. They create better means of internal communication within the workplace and more importantly, allow your business to gain a higher quality of service through efficient communication with your consumers.